Uzalo is a South African telenovela produced by Stained Glass Productions, which is co-owned by Kobedi “Pepsi” Pokane and Gugu Zuma-Ncube. It was created by Duma Ndlovu and currently broadcasts on SABC1 in South Africa. It is distributed by the South African Broadcasting Corporation. Its original release was in February 2015 and is still on till date. It is currently in its fourth (4th) season and has over 800+ episodes as at February 2019. The original language of the telenovela is Zulu. Uzalo’s premiere in February 2015 attracted 5 million viewers. In recent months, the soapie has been the most viewed show in South Africa with over 9 million viewers watching. Uzalo tells the story of two families in the township of Kwa-Mashu: the Mdletshe family which plays a significant role in the management of the Kwamashu Kingdom Church and the Xulu family which runs a car theft syndicate. The connection between the families is that their eldest sons were switched at birth during the period when Nelson Mandela was released from prison. 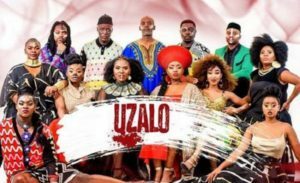 Uzalo details the relationships and conflict between members of the two families as part of a complex story. One most searched question is that who is the writer of Uzalo? We have got an answer to that. The SA telenovela Uzalo is being written by Bongi Ndaba.